The Uninhabitable Earth: Life After Warming, David Wallace-Wells. New York: Tim Duggan Books, 2019. Summary: An exploration of our near future if projected increases in global temperatures occur and the multiple impacts of these increases. This is a sobering book. It opens with the evidence that four of the last five episodes of planetary extinctions were related to climate warming. The premise of the title and this book is that there will be major repercussions if even the projected two degree Celsius increase in global temperatures occurs. If those temperatures increase by four or five degrees or more, the changes could be exponentially greater, affecting not merely the quality but the possibility of life for many of the planet’s inhabitants. The first part of Wallace-Wells book discusses “elements of chaos.” There is heat, and the summer temperatures in tropical parts of the world, that will render them uninhabitable. Rates of death from heat will climb dramatically (remember the Chicago heat wave of 1995?). Rising temperatures will reduce crop yields in many food-producing parts of the world. Coastal cities throughout the world will be inundated due to sea level rise due to melting ice in Antarctica and Greenland ice sheets. Drought in many areas may lead to year round fire seasons over increasing areas, as has been the case in California and other parts of the western US. Terms like “500 hundred year” storms will become meaningless when they occur at five year intervals, and rebuilding in frequently hit areas will become increasingly costly and unlikely. Diseases once considered “tropical” will spread to more temperate regions: malaria, yellow fever, dengue will join the spread of diseases like East Nile Virus, Zika, and Lyme disease. Economic projections suggest the possibility that each degree of global temperature rise may cut the GDP by 10 percent, or higher percentages as temperature levels continue to increase. Economic pressures and displaced populations will increase the level of conflicts, both civil wars within countries and international conflicts. One of the sobering aspects of this book is that these changes are already upon us. Just in the last two years 50 percent of the Great Barrier Reef has died from warming ocean temperatures killing off the organism the coral depend upon for sustenance. Increasingly intense storms, greater flooding, more powerful hurricanes, year-long fire seasons are already part of life. Day time temperatures over 120 degrees Fahrenheit and night time temperatures that never drop below 100 degrees are already common place. Glaciers around the world are melting, jeopardizing water sources for many communities. The second part of the book explores some of the non-scientific aspects of projected climate change, from economic systems no longer based on growth, a planet covered with carbon recapture facilities, what life might be like for those who survive when progress is no longer a part of life. He closes with a section on the anthropic principle and the discussion of why we haven’t found life on other planets. He speculates that this might be because the trajectory of civilizations is to burn themselves out and self-destruct as we appear to be doing. Many will object to the speculative character of parts of this book. In part, much of the discussion is not, but is based on well-established scientific findings, and current manifestations that fulfill prior predictions. It is true that we are notoriously bad at predicting the future. What I might suggest is that while things might be better, they could also be worse, perhaps in ways yet unforeseen. Yet this isn’t a work of despair. Wallace-Wells observes that the reality that rising global temperatures have been caused by human causes (from rapidly burning carbon sequestered underground for years) to our taste for meat that multiplies methane-producing animals is good news. It means that humans can take measures to reduce and offset carbon dioxide emissions. At the same time, the window for action is increasingly short, and in some cases, action will consist of adjusting to the “new normal” and preventing further degradation of the planet’s climate. It is striking to me that many of our younger politicians and other youth are advocating climate action. While some of us may not see the world Wallace-Wells is describing beyond the present day harbingers, our youngest generations and their children will. If Wallace-Wells is right, the opportunity to avoid being cursed as the generation that made Earth increasingly uninhabitable may rapidly be coming to an end. His book asks me, and others of my generation whether that is the legacy we want to leave our children. Chesapeake Requiem, Earl Swift. New York: Del Rey Books, 2018. Summary: A journalist’s account of nearly two years on Tangier island, the tight knit community organized around watermen harvesting blue crabs, and the likelihood that it may disappear within the next century. I first learned about Tangier Island nearly twenty years ago when I heard one of the people mentioned in this book, Susan Drake Emmerich, speak about the Watermen’s Covenant she helped facilitate, rooted in the strong Bible-based beliefs of the island’s watermen, that helped ease tensions over state and federal laws and fostered care for the island environment as well as the crabs and the Chesapeake Bay that provided their livelihood. Earl Swift chronicles a different threat to the very existence of the island. Throughout the Chesapeake, there are shoals that were once inhabited islands. Over the last two centuries, Tangier Island has lost two-thirds of its land. The northern part of the island, called Uppards, once was inhabited. Now its graves are washing into the sea and most of it is a patchwork of marsh and open water. The west end of the island’s shipping channel has widened to over 75 feet. A seawall protects the landing strip on the south end of the island. Residents are hoping for a jetty off of the shipping channel, and a sea wall around the island. The cost is over $30 million, and most consider that it would be cheaper to relocate this community of under 500 to the mainland. The most obvious cause is coastal erosion, evident after every major storm when more coast is lost and parts of the island are inundated. However, geologically, Tangier is slowly sinking, and the Chesapeake is slowly rising. It’s possible that all or most of it could be submerged within 50 years. Swift, who first visited a much bigger island in 2000, returned in 2015 and spent the best part of two years researching his account of the island. It is not only an account of what is happening to the island, but an account of the community that traces its origins back to 1608 when John Smith mapped it and the Revolutionary War, when it was settled. Many of the current residents trace their lineage back to these early settlers and most are related. Swift joins in every part of the island’s life from sessions of the island’s elders at “The Situation Room” to attending both of the island’s churches. He eats at the restaurants, endures the insects, and attends the funerals. He describes town services from the sewage plant to the local grocery, the school, and the visitor center (a place representing a painful memory). Most of all, he spends time with the watermen on their boats, especially James “Ooker” Eskridge, mayor of Tangier and the town’s spokesperson when the media come calling. Up before dawn, we get a sense of how hard the work of crabbing is, and how precarious this existence always has been, even before declining catches. Perhaps the most riveting part of the account is that of Ed “Eddie Jacks” Charnock and his son Jason, who are stranded on a sinking boat during a blinding, gale force storm on the bay, and the urgent rescue efforts mounted by the other islanders who hear the one distress message they were able to send out. It is a story that represents the tightly knit character of this community as well as the deep biblical faith that undergirds their life. Perhaps the most striking thing about Swift is his ability to portray the islanders on their own terms. There is no deprecation of their religious faith or their avid support of President Trump and denial of climate change (islanders attribute all the loss of land to erosion and dismiss evidence of island subsidence and water level rise.) He even affirms that Ooker Eskridge bests Al Gore in a discussion with his straightforward assertions that he has seen no water level changes at his crab shack. At the same time, he describes an island that is slowly dying, no matter what the islanders believe. Youth are moving to the mainland, and the elders are dying and the population continues to decline. Properties are abandoned, and despite the religious rectitude, there is evidence of drug use among a portion of the population. There are tipping points approaching for sustaining everything from the local school to the grocery. Swift calls his book a requiem. While Tangier has not yet died and its residents have not given up, the book helps us to appreciate on a small scale what it would mean to this beautiful place and its tight knit, beautiful, and productive community, to be lost. He helps us care for these people and their place. I find myself also thinking that this might be the first of many requiems, or perhaps a more hopeful image is that Tangier is the canary in the coal mine, a warning of how much more we might lose if we fail to act. The factors that endanger Tangier are the same ones that put our naval station at Norfolk at risk, and even our nation’s capitol, as well as the coastal cities of the world. Perhaps the irony that the islanders themselves dismiss climate change and its effects is also salutary. It is one thing to have to relocate under 500 climate refugees. Potentially this could be multiplied by millions in the years ahead. Will we close our ears to this requiem until catastrophe is upon us, or take prudent steps now? If the trends at Tangier are any indication, we may know the answer within a generation. Thank You For Being Late, Thomas L. Friedman. New York: Farrar, Straus, and Giroux, 2016. Summary: Discusses three “accelerations (computer-related technology, globalization, and climate change), how these might re-shape our world for ill or good, and the case for pausing, reflecting, and creating communities of trust working for the common good. Whether you agree with him or not, an interview with Tom Friedman is always a fascinating conversation, at least for some of us. It was on Charlie Rose, my wife was watching while I had dropped off to sleep, and the next day, she told me, “we have to get Thank You For Being Late.” It didn’t stop there. After my wife started reading this, she said, “you have to read this and write one of your reviews on it.” So dear, I have, and I am, and let’s see what you think. Friedman starts by explaining his title, which is his response to those who are late for meetings with him. In our accelerating world, time to pause, to reflect on our moment in history, and our lives, is an increasingly precious opportunity. Put away the smartphone and just be. Then, in the remainder of the chapter he recounts his encounter with an Ethiopian parking attendant who asks Friedman’s help with his blog. It turns out that he hosts a site devoted to a pro-democracy take on the politics and economics of his home country. Friedman contends that his columns mix his own values, priorities and aspirations, his analysis of the big forces, “the Machine” that are shaping events, and the impacts on peoples and cultures. And as he does this with Bojia, his new Ethiopian friend, he begins to reflect on these. Part two of this book is concerned with three big forces he believes are impacting people and cultures. He looks at 2007 as a critical year–the debut of the first iPhone, the launch of the Android, Qualcomm’s 3G technology enabling book downloads on Kindles, IBM’s Watson, non-silicon based processors, the beginning of an accelerating curve of solar power usage. He sees this as an inflection point where technological innovation exceeds human adaptability, requiring new ways of learning and governing. This opens a several-chapter discussion of the first key force, technology, whose acceleration is reflected in Moore’s law on the doubling of processor speeds every 18-24 months, at decreasing costs, that has made for a tremendous explosions because of software, networking, the convergence of smartphones and computers, and what Friedman calls the “supernova” of “flow” that makes possible massive amounts of storage in “the cloud”, all kinds of ways to utilize that data (including nefarious, as the Equifax hack, and others underscore), with incredible implications for commerce globally. This leads to his discussion of the second force, the global market, where being in “the flow” makes unprecedented collaboration and crowd-sourced innovation possible, but also increasingly automated financial flows that under some circumstances might lead to drastic computer-initiated market swings. At the same time, this can lead to incredible knowledge flows, such as MOOCs, making courses on nearly every subject available to anyone in the world with an internet connection, and also the export of the propaganda of terror, linking isolated individuals in developed countries with terror cells. The third force is climate change and species loss, environmental changes that are sweeping the globe. He notes a series of boundaries we are breaching or in danger of breaching–climate change, biodiversity, deforestation, bio-geochemical flows, ocean acidification, freshwater use, atmospheric aerosols, and introduction of novel entities from chemicals we’ve invented to nuclear waste. Friedman is ever the optimist and the third part of this book explores both technological and political innovations on the global scale that channel these forces for good, and in the chapter on “Control vs. Kaos” for ill. He has a chapter on “Mother Nature as Political Mentor” where he has Mother Nature making a laundry list of policy recommendations to delight the heart of anyone on the center-left of American politics, and will be dismissed by the right. What was most fascinating for me amid this ramble through technology, globalization, and climate science, ground Friedman has traveled in other books is where he ends up in his last chapters. He essentially commends whatever our religion’s version is of Sunday school to teach us the Golden Rule and its application in life, and a return to “politics as local” revisiting his childhood days in St. Louis Park, a suburb of Minneapolis, and the continuing heritage of a politics beyond partisanship that forges relationships of trust with business and civic leaders, and presses into seeking the common good of a community. When Friedman finishes, you feel he has touched everything including the kitchen sink. All of it is quite fascinating, and yet hard to hold together. Perhaps that is his point. Technology, globalization, changes in the environment are all accelerating–change is happening fast. We can run frantically to keep up. Or perhaps we would do better to pause. It is particularly intriguing that his most profound recommendations do not have to do with big government, even more technology or sweeping global environmental agreements, as much as I think he would be in sympathy with all of these. It is that we need to change in our own behavior, and in our habits of community. We need to return to real communities rather than virtual echo chambers and move from national posturing to local governing. 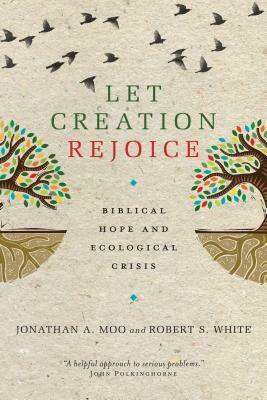 Let Creation Rejoice: Biblical Hope and Ecological Crisis by Jonathan A. Moo and Robert S. White. 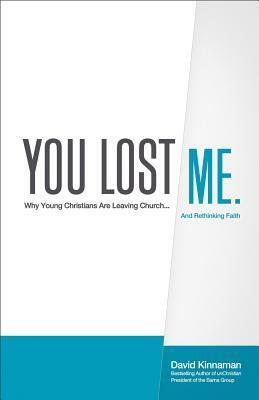 Downers Grove: InterVarsity Press, 2014. Summary: A scientist and a theologian get together to assess both environmental trends and biblical teaching and contend that there are reasons for serious concern, concerted action, and because of the gospel, for hope. I have an interesting collection of Facebook friends. On any given day, I can find posts predicting apocalyptic consequences for every living thing on earth because of our pollution of earth, water, and air, and equally ardent posts decrying all of this as “bunk”. Sadly, the discourse that seems to be occurring in the halls of government doesn’t seem much different. What I find rarely taking place are thoughtful conversations between scientists and people of faith considering what we may learn of these things and our call from God from listening both to the book of scripture and the book of creation. This book is a wonderful step in that direction as a scientist and theologian have collaborated to give us an account that is at once challenging, and yet filled with hope, that both considers the data of researchers and the data of scripture. Following an introductory chapter that decries both the apocalyptics and the deniers, the next two chapters summarize the “state of affairs” in our world today, considering human population growth, the decrease of biodiversity, the growing water crisis, concerns about nitrogen buildups due to artificial fertilizers, our food supply, and finally in a chapter to itself, the growing consensus among serious scientists of unprecedented CO2 buildup in the atmosphere, current warming trends, and, what seemed to me, fairly measured discussion of what might happen in the future. The next five chapters consider relevant scriptures, both outlining why the creation is not rejoicing, and how it may, and ultimately will. Chapter 4 centers on Jesus’ proclamation of “jubilee” in Luke 4:15-16. Chapter 5 focuses around Romans 8:18-25 and the groaning creation longing for release, that will come along with the redemption of God’s people. Chapter 6 explores 2 Peter 3:10-13 and the common contention of “why care if it is all going to burn.” The authors argue that the burning is one of removing the “veil” of heaven as well as purifying the earth, not consuming it all. It is meant as a warning of judgment that calls Peter’s readers to present faithfulness in all things, including stewardship of the creation. Chapter 7 considers the coming of Christ as a thief in the night and the call to be responsible stewards ready to give an answer for our stewardship of the creation. Chapter 8, on the book of Revelation, has particularly trenchant remarks about “Babylon” whose wealth is built on the commodification of humans and at the expense of their lives, a warning to any great power that accrues the wealth of the world to itself at the expense of the labor and lives of others. The book closes with exhortation, challenge and hope. We are to live as those “not of this world”, “to always pray and never give up”, to not take refuge in excuses or rationalizations, and to live in love, joy and hope, realizing we can both anticipate the new creation to come in our acts of faithfulness, and yet that it will come as a gift of God and not a human accomplishment. I was sobered as I considered that when I knowingly consume the earth’s resources in a way that subjugates others and contribute to conditions that lead to the death of others, I am complicit in slavery and death. Reading of God’s concern for his creatures in Genesis 9, I’m struck by how much we have to answer for concerning the extinction of so many creatures God has made. I can rationalize and deny in all sorts of ways. It seems like the only real course is to repent and lament and cast myself on the mercies of God and do what is set before me. That’s where the hope comes in. God knows that our own feeble efforts to clean up our messes only lead to more mess, and that, while we can begin in a way that anticipates his new creation, our hope is that he will return to finish that work of renewal. Ben Lowe is the author of the newly published Doing Good without Giving Up, reviewed on this blog earlier this month. 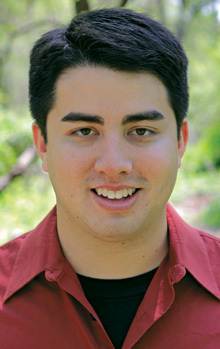 He is on staff with the Evangelical Environmental Network and serves as national spokesperson for Young Evangelicals for Climate Action. He is also the author of Green Revolution. He spoke last month for the ministry with which I work, and recently connected with me over Skype for an interview concerning his new book. Bob on Books: Tell me how you came to write Doing Good without Giving Up? In my work within the creation care community I was traveling to lots of Christian college campuses and speaking before audiences about why we should care for God’s creation and as the years went by I found that more and more people were affirming this message and less and less people were questioning it. The questions I was getting more and more had to do with “we believe we should care for the world and we believe we should stand for justice but do we really have to engage in advocacy and activism? Why can’t we make changes in our own lifestyles? Why do we have to work together on a broader scale? It is so messy and so hard. We rarely see any progress there.” So that’s why I decided to write Doing Good without Giving Up. In many ways it was a follow-up to Green Revolution but also addresses many different questions and challenges that are facing us today. Bob on Books: You think personal simplicity and faithfulness are not enough in addressing pressing social issues, that social action and advocacy are also important. Say more about that. I think personal faithfulness and simplicity are very important but they are not enough. That’s because we are called to be the body of Christ. We are called to community. We are called to live in faithfulness at every level of life which includes in our own lifestyles and in our families but also how we live together with the time God has given us on the world he has placed us on. And when it comes to some of the great challenges we are facing today, whether it is climate change, on which I work a lot, or human trafficking or the immigration crisis; these are problems that we cannot fix if we are just focused on making changes in our own lives. These are problems that were caused by us together in our society and in communities working together. They are problems that will only be solved when we come together. Bob on Books: You write in the book about moving beyond the dichotomy between evangelism and social concern and polarities of the culture wars. How do you think it is possible to do this? I think our motivation is very important in engaging in evangelism and in social action and justice. They are the same. That is, we are motivated by love. If we truly love God and truly love our neighbor we will want to share the good news of Jesus Christ with them. He has transformed my life and saved me from things and delivered me from the brokenness I knew I was powerless to overcome on my own. In the same way he empowers us and calls us to join him in changing the world, and so I believe that to follow Jesus and to love each other means to engage in evangelism and social justice. Our motivation is important in helping us to be on the right path towards integrating these two. And then when it comes to the culture wars, I think that a lot of our motivation there was fear. The most commonly repeated commandment in the scriptures was “have no fear” or “do not fear” yet that’s often our first posture when we engage with people in the broader society outside of the church. So what would it look like to not be so afraid but to be willing to vulnerably love our neighbors even when our neighbors are very different from us and when we don’t always agree with them? Bob on Books: What have you learned about not giving up, about sustaining yourself as you’re engaged in social action? Bob on Books: What new projects or goals are you looking forward to in 2015? That’s a great and somewhat tricky question. I’m looking down the “to do” list and wondering how is this all going to get done this year? On a personal level, I’m in the ordination process with the Christian and Missionary Alliance church. This has been a life-giving and faith deepening process and l look forward to continuing that and, hopefully, completing that by the end of this year. I’m also finishing up the last chapter in a book that Ron Sider and I are writing together, which will be an intergenerational dialogue about some of the key issues facing American Christianity moving forward. I’m excited about that! In my work we have a number of projects going but one of them in particular that we started in 2014 is a Climate Leadership Fellows Program which has a vision of training up new leaders in the climate movement, new faithful leaders, and empowering them to go out and engage their communities and train up new leaders on their own. We’re looking at this as a new discipleship model and are excited to pull together the next cohort of leaders for the coming year. Bob on Books: I’ll look forward to the next book when it comes out. Ron Sider has been a hero and I’ve appreciated your writing. I’ve appreciated your time today as well as your recent visit to our campus. Let us know when you are back in town! Any of you who have received an email from me might have noticed the Dietrich Bonhoeffer quote in my signature line: “The ultimate test of a moral society is the kind of world that it leaves to its children.” I was reminded of this quote when I was up late last night talking with some colleagues after viewing clips from a film, Chasing Ice. The film is both a beautiful portrayal of glacial ice around the world as well as a sobering reminder of what we are losing. Time lapse photographs of one Alaska glacier, for example showed it receding 2.5 miles in less than four years. Another set of images showed a portion of an ice shelf ‘calving’, that is falling into the sea, that was the size of Manhatten Island. I see changes in the climate in my own back yard. I garden. In recent years I’ve noticed that we can plant 10 to 15 days sooner and first frosts typically come 10 or so days later. We talked to our local nursery folks and they told us that the growth and hardiness zones have changed, which is reflected in their growing and purchasing of plants. In 1990, it turns out, we were in growth zone 5, now we are in 6. It appears the zones have generally shifted at least 150 miles north. What these changes tell me, whether it is in the rapid recession of glaciers around the world, or in the longer growing season and hotter summers in my back yard is that something has changed in our climate. This week, our government released a National Climate Assessment that outlines the changes that are occurring by regions across the US. The Midwest just has to put up with greater temperature extremes, more rain and flooding, more severe storms, and shallower Great Lakes. The Southwest is facing long term drought. The Southeast and Northeast face sea level rise, more severe and frequent hurricanes. Of course we are simply talking about the US here. Many of the world’s great cities, including large cities in the developing world are coastal cities that face flooding from sea water rise. Many are concerned about the global instabilities that will result from the displacement of people from these cities while others are fleeing drought-stricken areas. Some try to explain away these changes but what is the more controversial issue is the implication that human beings are responsible for much of this change. What is most troubling to me is that many of my fellow believers are among the most resistant when it would seem to me that we should be among the first to care for the creation, given that we are so into the idea of creation! Even if we are not sure that all the predictions are accurate, the changes that have already occurred and the dictates of prudent wisdom suggest that we should act. What troubles me is that most of us are not listening to scientists, including those like Katherine Hayhoe, an evangelical climate scientist and wife of an evangelical pastor. We are getting our views from secular conservative sources. The scientists who are Christians that I know who are studying this are not political people–they have become advocates because of the data, and because of their love of the world God made, not because they are anti-business or part of some big liberal/communist conspiracy. During this conversation last night one of my colleagues spoke of a friend who said she couldn’t embrace this concern because of concern for the number of abortions taking place. I’ll be candid–I’m also pro-life, but for me, being pro-life involves being deeply concerned not only about saving the lives of the unborn, but also caring about what kind of world they are born into. Similarly, if we are concerned about the poor, we should care deeply about climate change, because the poor, who probably have contributed least to the problem, will suffer the most from the results, especially the children born in poverty. This is what troubles me most. God-willing, I hope to be a grand-parent someday. It troubles me that how I’ve lived may make the lives of children and grand-children around the world much harder. In moral societies, parents sacrifice for the sake of their children. I am coming to see that it will indeed take great sacrifice on my part and billions of others in the more prosperous parts of the world, if we are to leave a livable world to my children and grand-children. The great temptation is to think, “we won’t see the worst of it in our lives, so why bother?” Somehow, I just can’t see myself saying this to my son, or to the young children in my church. But what will be the message of my life? This morning Ben posted his own particular take on the anti-science posture of the church including a coarse but pointed video with Louis C K. Perhaps the most telling part in this video is the idea of God coming back and asking us why we didn’t take care of this incredible place that he has given us. I have to say that I scratch my head as to why that isn’t more apparent. In particular, I puzzle about why people who fight so much for the idea of creation don’t seem particularly interested in carefully tending that loving gift from God. I also wonder why those who identify as “conservative” don’t seem terribly interested in “conserving” the resources and the other forms of life God placed here. It honestly seems like a no-brainer to me! And, whatever the pros and cons of our current understanding of climate change, it just doesn’t seem terribly wise to conduct an experiment on the only planet we’ve got that could render it inhabitable for us. Prudence, if nothing else, suggests care in these matters. And if Christians comfort themselves with the hope of heaven, I think Louis C K has it right that we will have some pretty uncomfortable reckoning with the Maker. The larger issue that Ben points up is that this is one more place where the church is out of step with many of his generation. Kinnaman doesn’t really talk about this but I encounter many thoughtful people who have turned to the east because this worldview system at least affirms our “oneness” with all things. I have questions about the efficacy of that worldview to address environmental issues but that’s for another post. Others pursue naturalism because they see naturalist scientists as the ones caring for the beautiful world they love. Many see Christians, mostly of my generation, opposing any efforts to address climate change and not wanting to even think of a more earth-friendly way of life, and they say…I’m out of here. The fact that our environmentalist “smackdowns” and our consumption lifestyle seem more important to us than the gospel and the people alienated by our lives and rhetoric says something about our priorities, and our hearts, it seems to me. Most troubling is that in many of our churches, we have drawn our response to environmental concerns more from certain radio and TV outlets than we have our scriptures. Also,I realize there are ideologues on both “sides” of these questions. But as Ben said, I also know scientists who are not ideologues–they simply are collecting and analyzing data that give them cause for concern. You can probably find some of them at your local university. You might even have some already in your congregation who have never felt welcome to share their work because of the rhetoric they hear from other adults or even from the pulpit. One of the ways churches might think of overcoming the “anti-science” perception Kinnaman talks about is to invite an actual scientist to come and talk about their research and what they are learning–particularly scientists in the environmental sciences. I would encourage that you do this not to argue or convert but to understand. Questions are good–questioning is a way of life for academics– as long as the questioning isn’t leading or accusatory. And I hope the adults in our congregations can be mature enough to realize that it is OK to listen to someone with whom we might not agree!